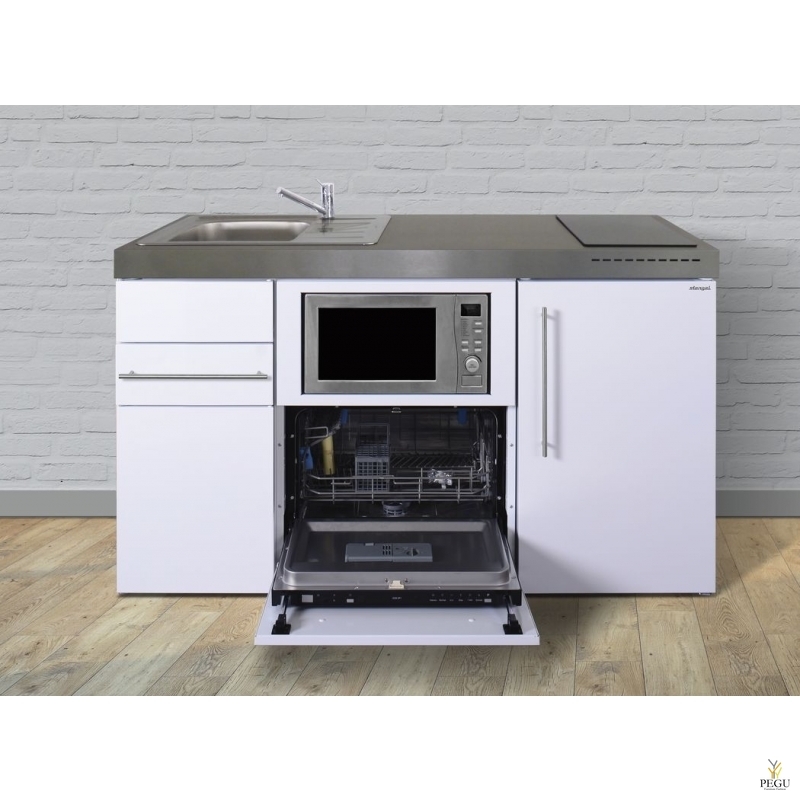 This product range is especially designed to save space and provide solutions (2x1 and up to 3x1) with the possibility of providing three solutions in one body. Units designed to be recessed mounted or mounted on a surface that have a modern design and resistant materials, which are the best solution for locations that wish to be innovative. It is entirely welded, with a paper towel dispenser with riveted tray that prevents tearing the paper; accepts C and Z folded paper towels. 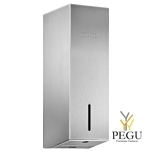 Saniflow® automatic hand dryer and AISI 304 stainless steel bin, which is extractible so that it may be easily dumped. Optionally, a frame is available for installing on a surface. 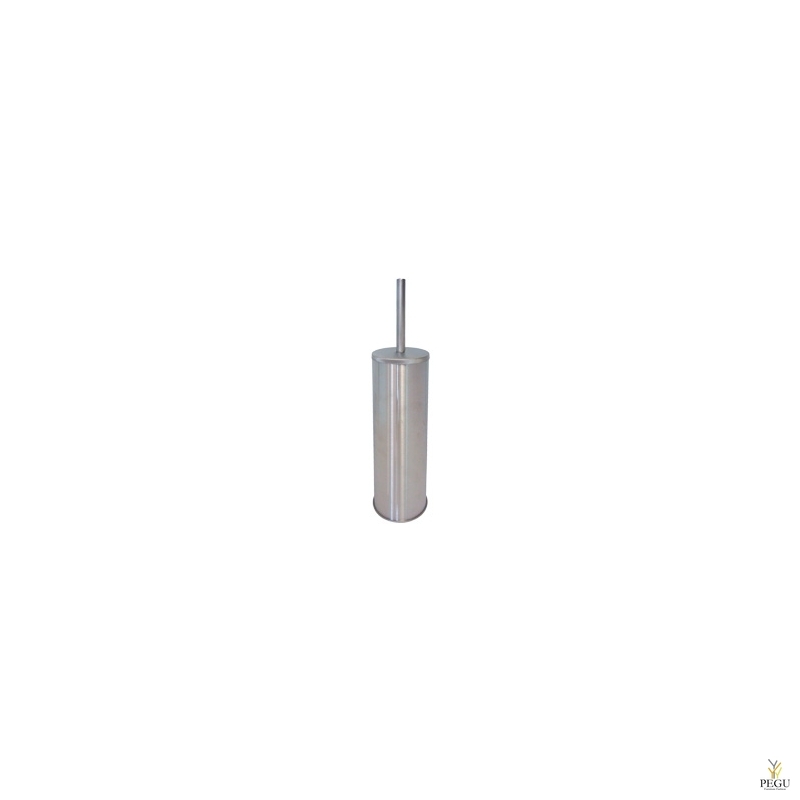 Several solutions are provided in this category depending on the type of paper used, rolls or towels, and the capacity of the bin, which ranges from 6.1 litres to 53 litres. The paper loads range between 200 towels and 800 towels in models C/Z and 200 mm in diameter in models that use paper rolls. 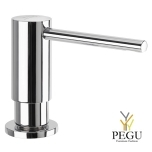 Surface push-button soap dispenser. Spray soap. 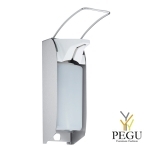 Spray soap dispenser of 1.5 L capacity, manufactured in stainless steel AISI 304, to be installed directly on the wall and hand-operated through a push-button made in stainless steel. 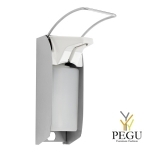 Available in three finishes (white, bright and satin) these soap dispenser models have a functional, robust and trendy design that matches the new range of Mediclinics bathroom accessories. This allows this soap dispenser to blend into any space perfectly. 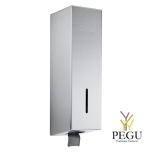 With a net weight of 1.25 Kg and manufactured in stainless steel AISI 304, 0.8 mm thick, these soap dispensers have an inner plastic tank that prevents oxidation and that can be easily removed for cleaning and disinfection purposes. 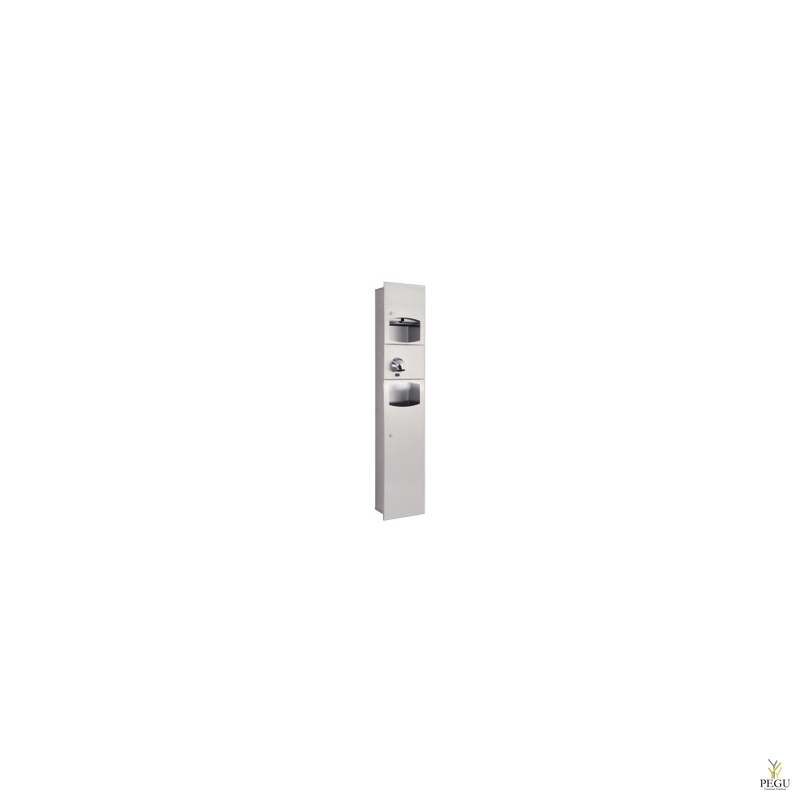 This entire range of soap dispensers is equipped with an anti-drip corrosion resistant valve that dispenses 0.8 ml of soap per service. 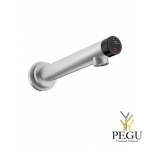 This anti-drip valve, which dispenses spray soap, is easily interchangeable with the valves of the other soap dispensers of the same line that dispense liquid soap (DJ0031, DJ0031C and DJ0031CS) or foam soap (DJF0032, DJF0023C y DJF0032CS), so you can easily turn this liquid soap dispenser into a foam or spray soap dispenser. In addition, these soap dispensers have a soap content level display in the front part that constantly indicates the level of soap available inside the soap dispenser. It is recommended to use spray soaps with a maximum density of 0.8 kg/dm3 and a maximum of alcohol content of 85 %. 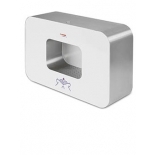 Disinfectant dispenser in robust, germ-reducing and easy-care stainless steel (AISI 316L). All-stainless steel housing; all corners fully welded, visible surfaces satin finished and brushed. Further available surfaces: see below. One-hand operation disinfectant pump with 950 ml tank. Inspection slot to indicate fill level. 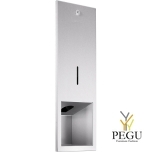 Accessible for refilling through lockable, hinged housing. Keyed alike cylinder lock in corrosion-resistant zinc die-casting. Wear parts can be replaced as modules. Mounting: With two screws through key holes and one optional anti-theft hole in the back wall. All-stainless steel housing; all corners fully welded, visible surfaces satin finished and brushed. Further available surfaces: see below. One-hand operated and non-drip disinfectant pump with 950 ml tank. 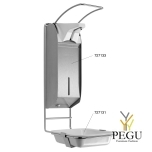 Tank with large, lockable refill opening. 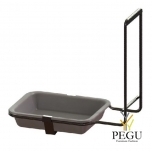 Accessible for refilling through lockable, removable front panel with fall protection. Wear parts and front panel can be replaced as modules. 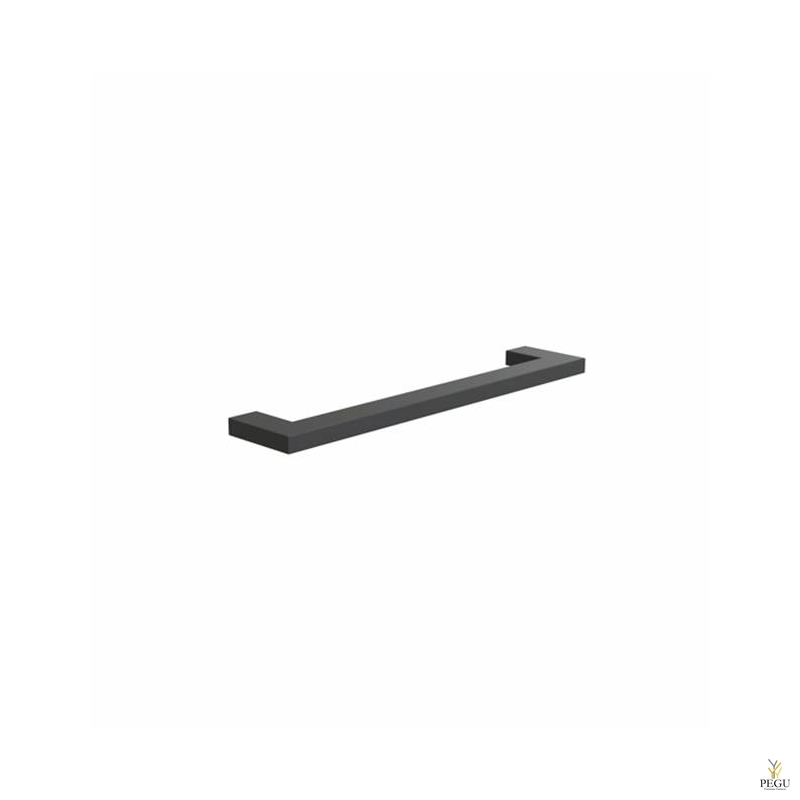 Mounting: With four screws in wall opening through fixing holes in the side walls. Delivery includes fixing material and first fill with soap. Sensor disinfectant dispenser in robust, germ-reducing and easy-care stainless steel (AISI 316L). With EWAR® eModule touch-free operated disinfectant pump with 950 ml tank. eModule battery-powered with two 1.5 V Baby/LR14 batteries. Power supply available as an option. Delivery includes fixing material and batteries. Tank with large, lockable refill opning. 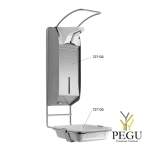 Touch-free ELEGANCE dispenser for disinfectant with a robust, shockproof plastic cover. The design is simple, elegant and cleaning-friendly. 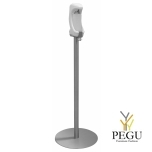 • Touch-free dispenser for disinfectant. • Holds approx. 1.1 l disinfectant (= 900-1100 doses). • Battery-operated, runs on 4 x 1.5 V batteries. • The front features a disinfectant-level indicator window. • Also available for liquid soap. 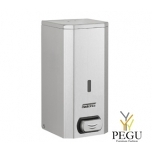 Disinfectant dispenser in robust, germ-reducing and easy-care stainless steel (AISI 304). Half-open stainless steel housing; visible surfaces satin finished and brushed. Elbow-operated disinfectant pump, can be set to different levels and autoclaved. Designed for standard 1000 ml disposable bottles of disinfectant. Accessible for refilling from the front side. Lockable cover plate in stainless steel as an option for a surcharge. Mounting: With three screws through holes in the back wall. Designed for standard 500 ml disposable bottles of disinfectant. Tabletop disinfectant dispenser in chrome-plated brass. Solid body in brass; visible surfaces high-gloss chrome-plated. Non-drip disinfectant pump with 500 ml disinfectant bottle in plastics and pressure valve in brass. Also available with 250 ml or 1000 ml containers in plastics. 500 ml container in stainless steel as an option for a surcharge. Refillable from above by unscrewing the top part. surface thickness max. 40 mm. Tabletop disinfectant dispenser in robust, germ-reducing and easy-care stainless steel (AISI 316L). Solid stainless steel body; visible surfaces satin finished. Further available surfaces: see below. Non-drip disinfectant pump with 500 ml disinfectant bottle in plastics and pressure valve in stainless steel. 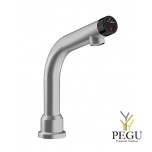 Multifunctional touchless faucet, water and soap in one unit, countertop integration.